In Australia, children in state care leave care when they turn eighteen. Legally they are adults, but are we expecting too much of them and setting them up for a life of failure and disadvantage? In the United Kingdom, Canada and some states in the US, children are able to voluntarily stay on in a care arrangement until they are 21 years old. New Zealand too, will next year implement that system. Current government policies in most Australian states require the child protection system to begin preparing a young person to leave care as early as 15 years, while most would leave their care placement during their 16th or 17th year. A study by the Care Leavers Australia Network reported that 43% – 65% of care leavers have poor mental health outcomes, including depression, Anxiety, PTSD, panic attacks and sleep disorders. Research both nationally and internationally indicates that within a year, half of care leavers will be homeless, in trouble with the law or a new parent. 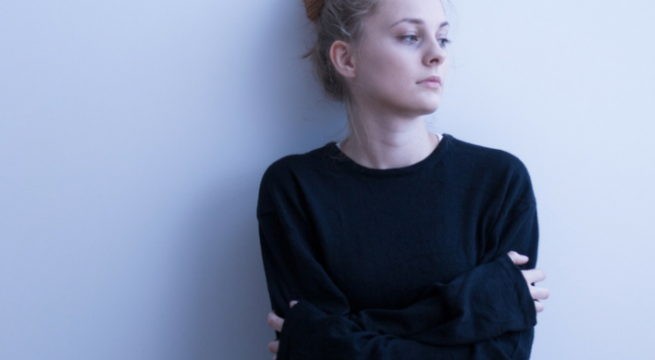 Across Australia about two-thirds of homeless youth are care leavers. In 85% of Australian families, children stay at home until they are at least 21. However, children in the foster care or state residential care system are expected to launch into the world as fully responsible adults at 18 years old. These children are in the care system for a range of reasons, often due to very traumatic circumstances, is it reasonable to abruptly pull away the support of a home they know and of a case worker that can assist them when they are just starting their adult life? On Open House, Paul McDonald of Anglicare Victoria and chair of The Home Stretch explained that planning for the end of care can start at the age of 15 and is very traumatic for kids who are already disadvantaged. He is part of a move to convince state governments in Australia that 18 years old is too young to effectively abandon foster kids. “The international evidence is in, extending care to 21 is a policy no-brainer that is good for young people leaving care, the community and the government,’’ Mr McDonald says. “International research, where care is extended until the age of 21, shows that education participation and employment doubles and homelessness rates are halved. Whilst there are some available services to assist the transition to leaving care, too many young people are still struggling to cope independently at 18 years after a life in state care.” according to Paul McDonald. “Offering young people continuity and stability in a nurturing and supportive environment with people who care about them is critical to support their education, training and employment. ‘’ says Mr McDonald. The Home Stretch want to see governments in Australian states allow arrangements that will extend care to 21 years either in foster care or in other arrangements. Extending care would require state governments to provide support in the form of ongoing carer reimbursements and provision of case managers and other appropriate resources. However, there is abundant evidence that the cost of extending care to 21 years is more than offset by savings in the cost of homelessness, hospitalisations and other problems facing care leavers younger than 21. What happens to children in state care who don’t have foster families when they turn 18? They immediately lose support, says Maria Palumbo, CEO of Junction Australia – a social enterprise which provides a range of community services including housing. “Young people are living at home longer than ever than ever before – and when they do leave, they often return. The cost of living, housing and rental expenses combined with the need to study means they are dependent on mums and dads long after their 18th birthday.” she says. That said, there are many amazing young people who overcome this. But the reality is that it could equally go either way.” says Ms Palumbo.